New Generation - World's Smallest! AMAZING SIZE! ABOUT THE SIZE OF A PACK OF CIGERATTES! 3 3/4 INCHES X 2 1/2 INCHES X 2/4THS INCHES DEEP! This battery operated Home Guard Personal Digital Video Capture Camera has 128 MB ram for fast action snapshots when motion is detected. Simply place the unit in a desired location and turn it on. It is capable of capturing more than 16000 frames. 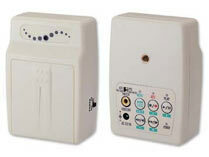 Simple and discrete to use this new item is perfect for home, office or anywhere you need personal protection. This small compact media player has 512MB of built in memory and a SD slot for expansion. Small in size with the built in 2 x 1 ½ inch TFT color screen make this item perfect for body worn applications. You can download voice, video, songs and pictures in this tiny player. This little baby fits in the palm of your hand and delivers 12 mega pixels of power resolution. The perfect solution for surveillance with it's built-in 8 X powewr zoom lens. Look at these amazing features and specifications. BREAKTHROUGH IN DIGITAL VIDEO CAMCORDERS! World's Smallest Digital Camcorder! The Size Of A Cigarette Pack! Palm-sized! The World's Smallest Digital Video Recorder! Over the last few years, we have reviewed a lot of micro digital cameras for investigative use but nothing like this! This new generation micro digital camera gives you an amazing 10 mega pixels of resolution power with an 8 X zoom! For those who do not care about a viewing screen on the recorder. Very compact- measures only 4 1/2 x 3 1/4 x 3/4 in size! NanoTek Tiny Digital Video Recorder! World's Smallest Digital Video Recorder With Screen! Recording time. Ideal For Covert Use. You got'a See This One To Believe it. Free Wireless VIdeo Camera With Purchase! Measures only 5.1” x 3.3” x 1.3” With Built-In Monitor! LIMITED TIME SPECIAL- ON SALE NOW! Of An Inch Thick! You Can Hide This One Almost Anywhere! This system is equipped with LAN Connection, Real-time watching & Digital recording from 4 cameras, motion detector with external IR detector, programmable recording & Zoom features. This system is equipped with LAN connection, MPEG-4 compression, low storage demand, remote surveillance, multiple alarm modes and log, Pan/tilt/zoom selectable settings for resolution of every camera. SmartEyes-With Built In Digital Video Recorder! A NEW GENERATION OF COVERT DIGITAL VIDEO RECORDING! 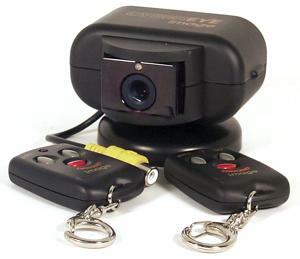 MOTIION ACTIVATED COVERT VIDEO CAMERAS WITH BULIT-IN DIGITAL VIDEO RECORDERS! EASY AND FAST SET IT AND FORGET IT FUNCTION! Cameras You Wear Or Carry Carry It! Wear It! Copyright: 2006 , Thomas Investigative Publications, Inc.